Being a critical thinker will help your child succeed at school and throughout their life. We asked Peter Worley of The Philosophy Foundation for his critical thinking tips. Children are natural inquirers. Every day, they’re putting their critical thinking skills into practice, even at primary school level, and this ability to think critically is an asset that will stand your child in good stead as they move through primary school, into secondary and throughout their adult lives. ‘It’s important that children develop critical thinking skills as early as primary school age,’ explains Peter Worley, co-CEO and co-founder of educational charity The Philosophy Foundation. Learning to think critically is a vital part of children’s development, helping them make sense of the world around them. It helps them ask questions and make value judgements, and try to figure things out if they don’t make sense. Critical thinking encompasses many of the skills your child needs to access the primary school National Curriculum, including inventing, making analogies, formulating hypotheses and suggesting alternatives. It helps them filter the information they take in and select what’s most relevant to the task in hand. Developing good thinking habits may help your child when they come to formal exams like SATs and the 11+. Key Stage 2 SATs in English, for example, include a reading comprehension paper, where your child will have to make inferences and deductions from set texts. Indeed, research has suggested that children who are taught critical thinking skills do better at language comprehension and problem-solving, and even have a higher IQ than their peers. ‘Children are not only capable of critical thinking from an early age, but they actually do it, too,’ says Peter. Here’s how to help your child hone these skills as they grow. Being able to say whether they agree or disagree with something, and why, is a sign that your child is thinking critically. For example, you can encourage your child to give reasons or examples that show why they agree or disagree with something. Joining a philosophy or debating club is a good way to develop your child’s critical thinking skills and put them into practice with other children of a similar age. Some schools run these clubs, or there may be out-of-school clubs in your area. You can find out more about philosophy clubs from The Philosophy Foundation. If there isn’t one in your area, The Philosophy Foundation can help you set one up. 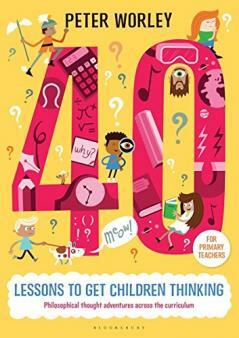 You can find ideas for topics that you might like to discuss in Peter’s books, The If Machine (Continuum, £18.99) and 40 Lessons to get Children Thinking (Bloomsbury, £19.94). Ask why: get them to provide justification, explanation, purpose or motivation. Ask for an example or counter-example: ‘Can you give me an example? This is a good habit to develop when your child is doing reading comprehension. Try stopping the story at the crisis moment or decision, and asking your child what they think will happen, and why, and what they think should happen, and why. In this culture of ‘fake news’, how can your child tell whether something they’ve heard is true or not? ‘The obvious answer is to check sources,’ Peter says. Children who think critically can get a good sense of when they really need to check a source or fact, and when it might be okay to not be certain. ‘This will depend on when it really matters: when there are real consequences to saying something is true,’ Peter explains. If your child is to become a critical thinker, they need to be a good listener, with a concept called an Open Questioning Mindset (OQM). ‘OQM is listening, but not just stopping yourself from talking; it is attempting to understand, giving the other person space to think and talk, not imposing your thoughts or interpretations on them, and not questioning them to trip them up or stop them in their tracks,’ Peter says. Yes, it can be irritating when your child insists their t-shirt is aquamarine, not turquoise, or reprimands you for calling their sandals shoes, but pedantry can actually be an asset. There are some great books that will help you develop your critical thinking skills, including A Rulebook for Arguments by Anthony Weston (Hackett, £9.99), Thinking from A-Z by Nigel Warburton (Routledge, £14.05) and The Duck that Won the Lottery by Julian Baggini (Plume, £12.99). 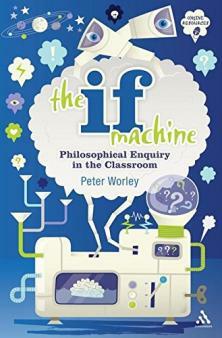 Peter Worley is a Visiting Research Associate at King’s College London and author/editor of eight books on philosophy in schools, including The If Machine: Philosophical Enquiry in the Classroom (Continuum, £18.99), 40 Lessons to get Children Thinking (Bloomsbury, £19.94) and The Philosophy Shop (Independent Thinking, £17.58). His latest book, 100 Ideas for Primary Teachers, is out in January 2019.